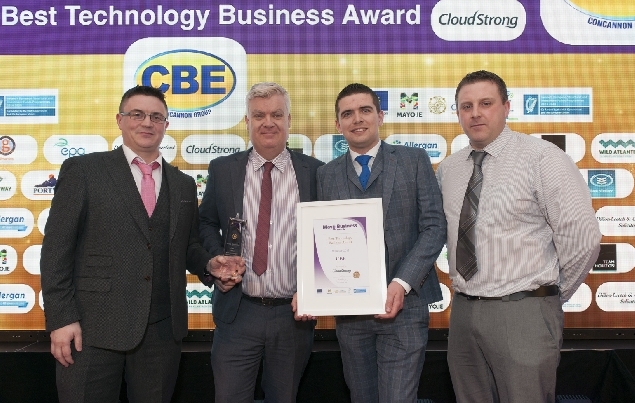 This award is aimed at businesses that have excelled in developing innovative products or providing innovative services for their customers that show a good understanding of modern day requirements and technologies. 1. Concept of the product / service? 2. Explain the process of developing the concept and bringing it to the market? 3. How is the product / service received by the customer, success of the product / service? 4. New product/ service launches or developing new partnerships? 5. Individual achievements or independent business awards local or international? 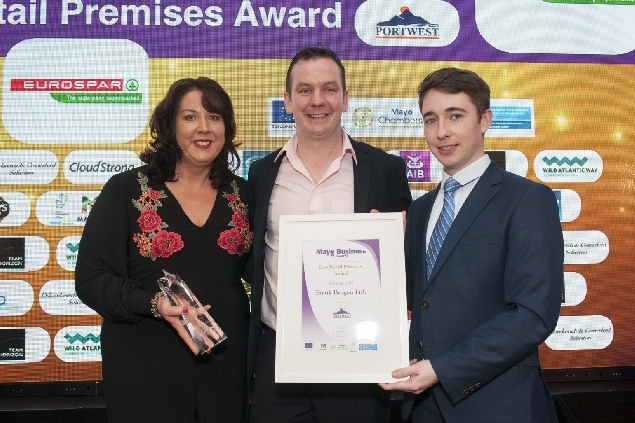 The Best Retail Premises Award aims to recognise businesses who continuously deliver high standards and excellent service in retail industry. Innovation (either in products or service), employee development, customer service or notable successes are just some of the ways businesses can stand out in a highly competitive industry. This category aims to reward those who strive to create an amiable work environment for their employees while consequently providing customers with and enjoyable experience which helps drives business success and growth. Independent adjudicators will make unannounced visits to the finalists in this section. These mystery shoppers will judge this award based on the criteria below. 1. Give a brief description of the exterior and interior of the premises? 2. The layout and quality of the grounds (ie accessibility, etc)? 3. Explain the overall environment, of the premises? 4. The demeanour, professionalism and presentation of staff? 5. Reference to up-skilling and training programmes for staff? 6. Please provide 3 images of the exterior and interior of the premises. 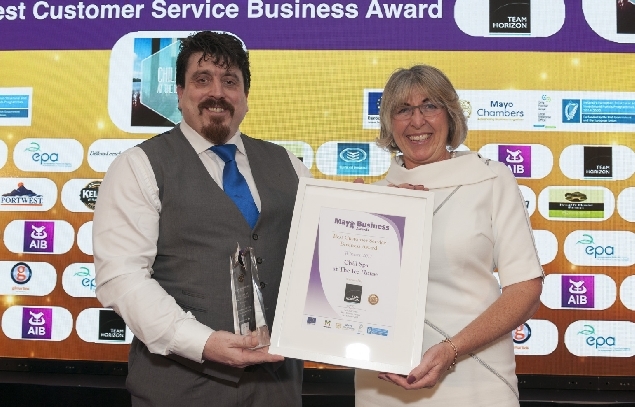 The Best Customer Service Business Award looks to reward businesses that have excelled with regards to customer service and their relationship with their consumers. 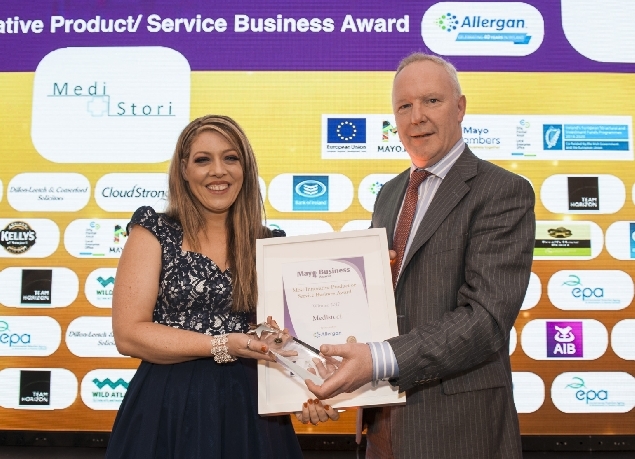 Entrants will be asked to highlight examples of when they have gone the extra mile to tend to their customer’s needs and will be judged on the systems in place to deal with problems or issues which may arise. Businesses may be asked to show how their levels of customer service exceed that of their competitors. 1. Evaluation methods to access your customer service? 2. Evidence of going the extra mile, exceeding customer expectations? 3. Reference to up-skilling and training programmes for staff? 4. Systems in place to deal with problems or issues which may arise? 6. Excelled with regards to customer service and your relationship with your consumers? 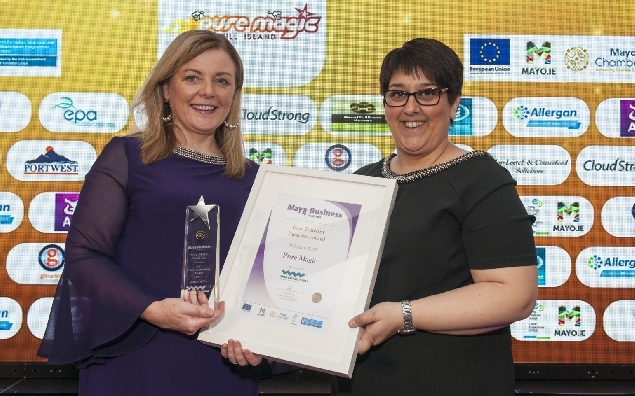 With Mayo being one of Ireland’s premium tourism destinations, the Best Tourism Business Award is dedicated to businesses which provide outstanding service or product to visitors which enhance the reputation and appeal of County Mayo. Applicants will be asked to show how they have adapted to recent changes in the tourism industry and to highlight their achievements and challenges that they have overcome. 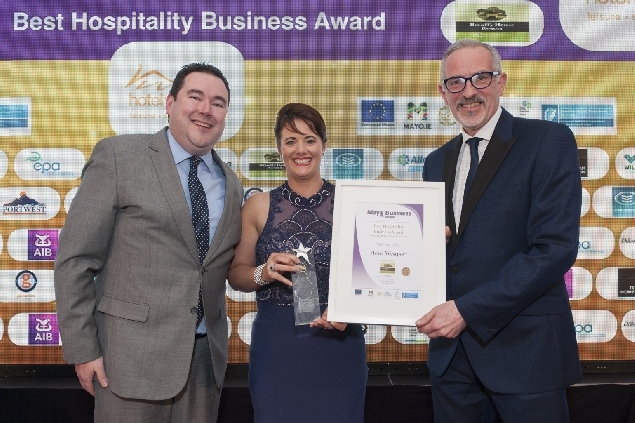 Special consideration will also be given for tourism businesses which have shown innovation in all areas of the business which have impacted on the success of the business. 1. Examples of collaboration with other tourism businesses? 2. What has your business done to enhance tourism services in the region? 3. How does your business stand out from similar tourism businesses in the country? 4. Achievements you have received and challenges you have overcome with the business? 5. Number of staff you employ? 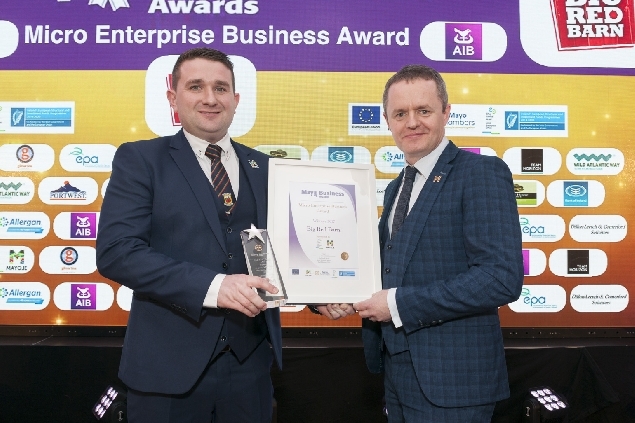 This category is open to businesses across all sectors with ten employees or less with less than a 2 million turnover a year, offering applicant the opportunity to get recognition for the growth and success of their business during the past number of years. Entrants will be asked to describe what distinguishes them from other micro businesses, in terms of innovation in products or services and marketing and sales techniques, and their plans for the future growth and success of their business. 1. Product or Service range? 2. Example of your Client base? 3. Plans for future growth? 4. Distinct competitive advantage or new customer wins? 5. Staff Numbers (Compare from year one to year two)? 6. Marketing campaigns with measurable results? 7. New marketing strategies, including export? 8. Sales performance (Show percentage growth achieved for each of the past two years)? 9. Individual achievements or independent business awards local or international? 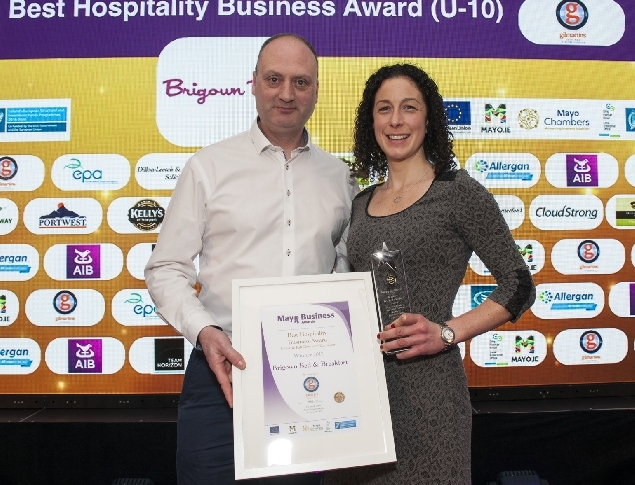 With a thriving tourism industry in County Mayo, the Best Hospitality Business Award is to reward businesses in the hospitality sector that have thrived and achieved success in recent times. Applicants will be asked to show how they have adapted to change in the hospitality industry and how they have used new technologies to branch out into new or wider markets. Businesses will be judged on areas such as customer satisfaction and innovative sales and marketing practices which they have used to grow their business. 2. Layout and ambience of the premises? 4. Standards of cleanliness and hygiene? 7. Reference to up skilling and training programmes for staff? 8. Evidence of enhancing your customers’ business in bringing them new competitive advantages in their business? 9. Innovative Sales and Marketing practices? 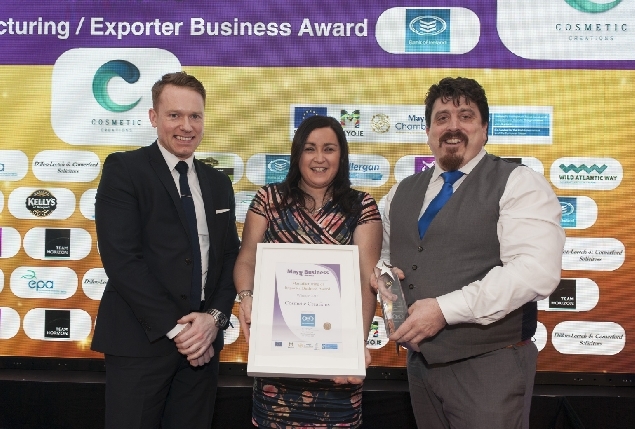 The Best Manufacturing or Exporter Business Award looks to reward businesses who have achieved outstanding success in the production and/or exporting of goods or services and is open to businesses that operate on a local, national or international level. Entrants will be judged on how a business has adapted to the ever evolving industry and how they have embraced and applied new technologies to the benefit of their business. Areas such as product innovation and standards of production will also be a part of the adjudication process as will a business’s ability to adapt and excel in national or international markets. 1. Explain the Product launch / product development? 2. What Innovation and standards have you achieved? 4. Distinct competitive advantages or new customer wins / New Markets? 5. Examples of marketing campaigns with measurable results? 6. Mergers or acquisitions or new investment capital incorporated in the business? 7. The levels of exports in relation to the company size? 8. The barriers that have been overcome in making the business a success? 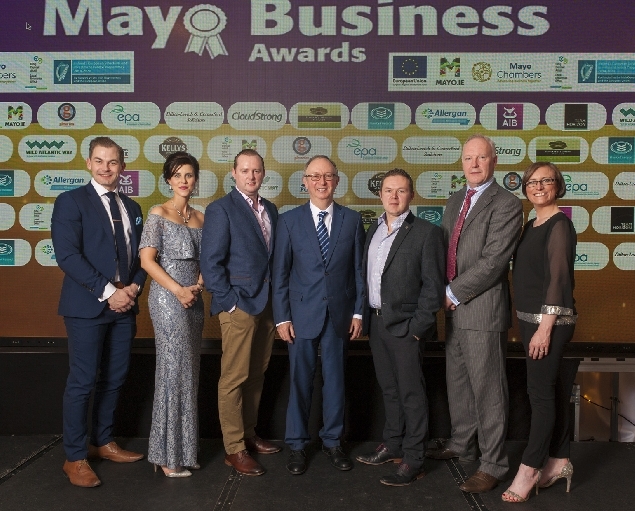 The Best Technology Business Award will recognise the outstanding progress of Mayo businesses in one of the most competitive and highly skilled industries. Entrants for this Award will be asked how they have maintained their competitive advantage in what is an ever changing industry. As a business constantly embracing new ideas and innovation what challenges do businesses face and how will they overcome them in order to have continued success? 1. Concept of the product? 2. Description and process of developing the concept and bringing it to the market? 4. Description of whom your customers are? 5. Describe the competitive advantage you give to your business customers? 7. New product launches or developing partnerships? 8. Examples of Up-skilling and training programmes for staff? 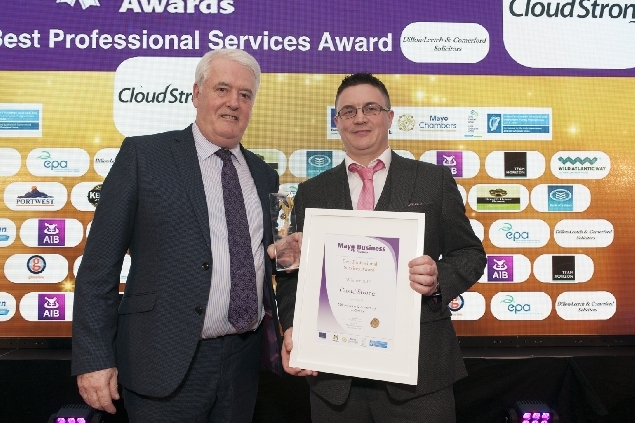 The Best Professional Services Award will focus on businesses that show excellence in their business practice and provide an outstanding service for their clients. Businesses will be asked to display any innovative and forward thinking processes they utilise in order to deliver the best possible service. 1. Professional Organisations that you are affiliated with? 2. How does your business standout in comparison to similar businesses in the sector? 3. How do you employ the best possible practice in your sector? 4. Examples of up-skilling and training programmes for staff? 5. What is your service range? 6. Example of your Client base? 7. 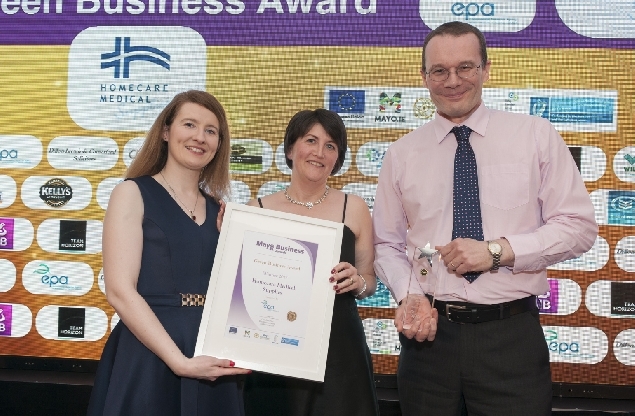 Individual achievements or independent business awards local or international? 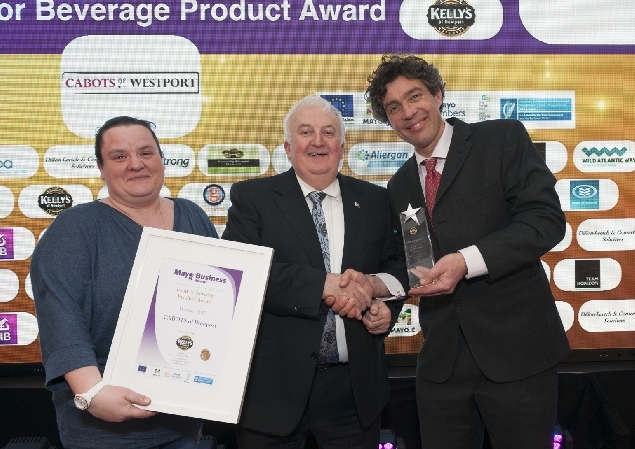 The Food or Beverage Award looks to recognise the Food or Beverage businesses that make up an ever growing sector of Mayo business. The adjudication process will look at the methods businesses have used in order to deliver the best possible product or service to the customer. Candidates will also be judged on how they distinguish themselves from other businesses in the highly competitive market. 1. Quality and innovation of the product? 3. Marketing Campaign of the product with measurable results? 4. Recognition of your product? 5. Distinct competitive advantages or new customer wins? 6. Strong vision for future development? 7. Future growth plans in retail and foodservice? 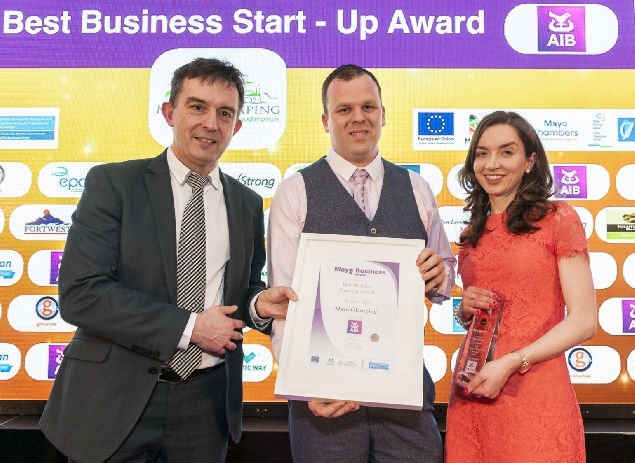 The Best Business Start-Up Award recognises the outstanding achievements of Mayo’s newest business and entrepreneurs and is open to any business set up within the last two years. 1. Key objectives of the business? 4. Sales performance (Show percentage turnover achieved versus projected plans)? 6. Innovation and competitive advantage over rival businesses? 7. Barriers that have been overcome?